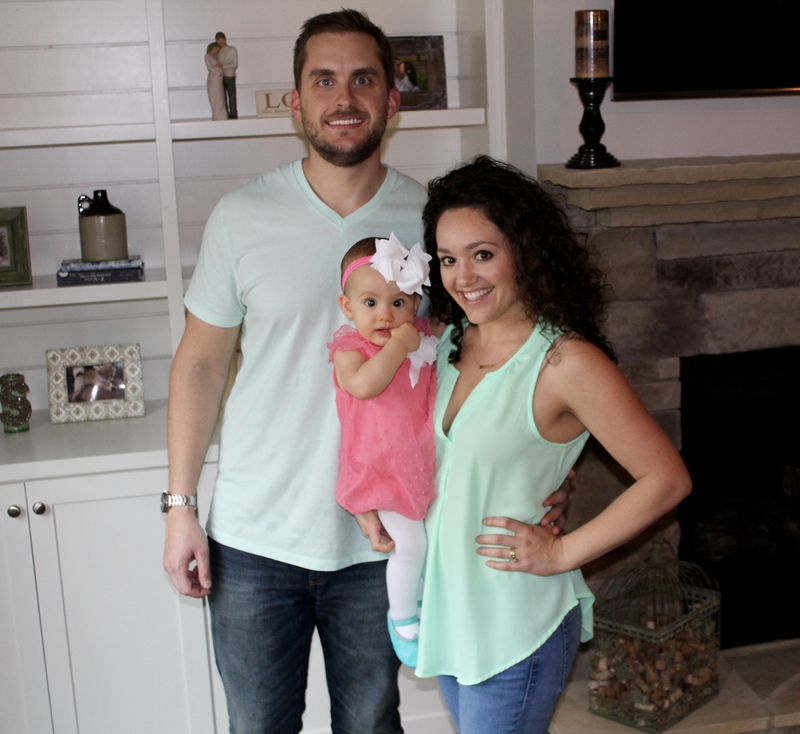 How was your Easter and/or Easter Festivities? We had a blast, be prepared for A LOT of photos! I feel like holidays have become a lot more fun and special ever since we had Isabella. I’m also a little bit addicted to dressing her up, if you can’t tell. Izzy had a playdate on my lunch break last week. She really enjoyed looking for eggs and putting them in her basket. Even more so she loved handing the eggs to her friends. She’s such a sweetie. Easter morning was a blast! Last year Izzy was a little squish (as shown below) and so she obviously couldn’t follow a trail to her basket. This year Izzy had an egg trail (which will in another year or two turn into a jelly bean trail). It was from her room to her basket down in the living room. This is a tradition from my childhood that I wanted continued with my baby. For Easter day we had Izzy’s grandparents over and her auntie, who lives in state. It was nice for Izzy to have all of these people together that love her so much. 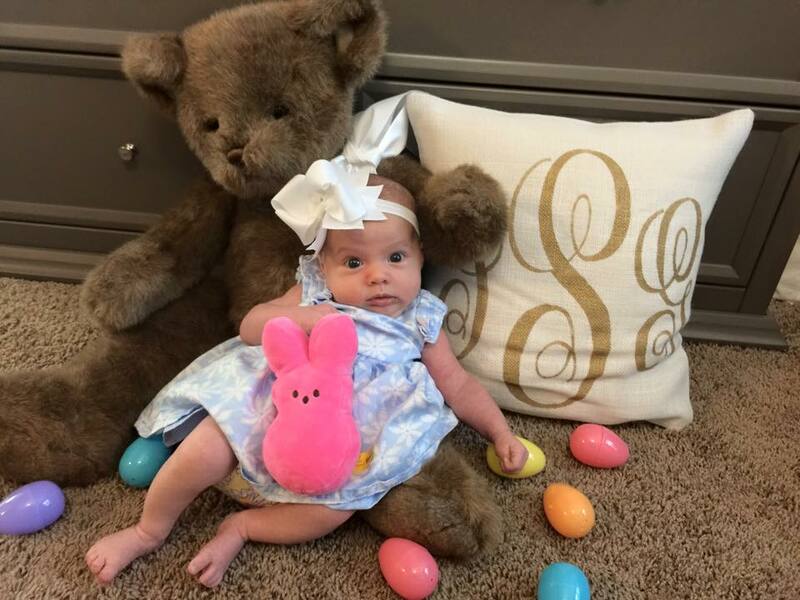 We have Izzy’s Easter basket from Pottery Barn Kids. Her Nana got it last year for her. I was very excited for her to actually carry it around this year with all of her goodies. She’s at the age where she actually takes things out AND puts them back so it was pretty easy showing her to put the eggs in her basket. The white faux fur bunny ears are also pottery barn kids. 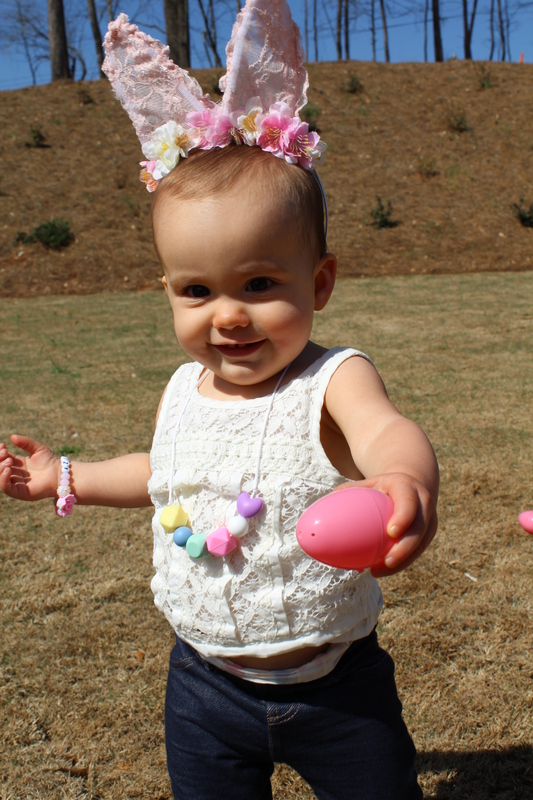 The pink lace bunny ears are from an Etsy shop called LeLunaStar. I loved the lace and flower detailing! You have to check out this shop for other adorable pieces. 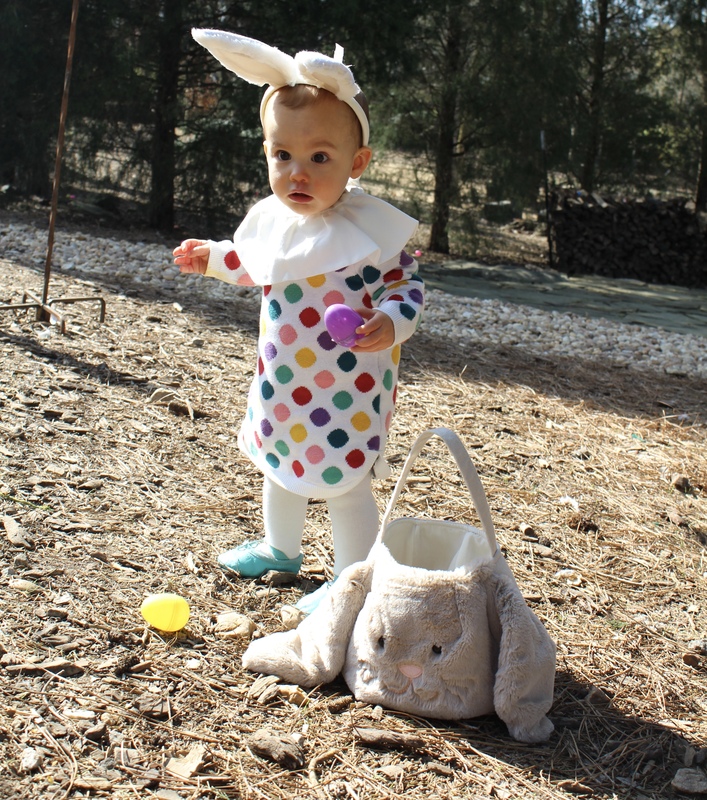 The polka a dot dress is from Baby Gap. Gap is still one of my favorite places to shop for baby clothes and when they have a 40% off sale (like they do right now) you can’t beat that! The while collar which can be worn with the bow in the front or back is from The Sparrow Collective. This a beautiful shop with some GORGEOUS pieces. The teal ballet slippers are from Linge Shoes. They make all sizes… yes even adult! You can see my full review on these beauties on my post: Baby Ballet Shoes. They are a great alternative to moccs for a soft sole shoe. The bracelet shown in the first photo is from HelloLoveKalia. She will customize sizes if you need her to. I have ordered from her for Izzy and gifts for others. I love her bracelets that have name options. We moved which always seems to put a wrinkle in plans. We had originally ordered these adorable bunny shorts from P & The Lion. I was sad to hear from our move the shipping was messed up (not P & The Lion’s fault). The address is new and can’t even be found on google maps yet and having things forwarded I guess just doesn’t always pan out. The shop owner took care of the situation, she’s wonderful to work with. That’s not always easy to come by. Anyway they have some adorable shorts for boys, girls and Mamas. You can see Izzy in their Valentine shorts on our blog Valentine’s Day Fashions. LOVE LOVE LOVE!!! She always has the cutest themed outfits? Love these adorable “Izzy Looks”! Family pic is really great too! The wagon shot w/her buddy is precious! Enjoyed them all.